It works. It really works. Yesterday I cleaned my oven. 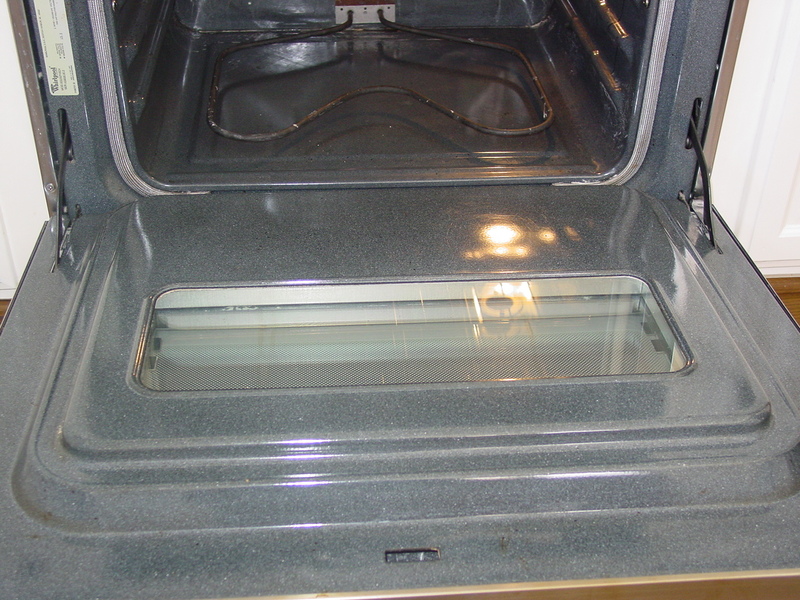 Yes, I do have a self cleaning oven, and yes, it was the perfect winter day for the high temp cleanse, but I don’t like the smell, and I read that it shortens the life of your oven. My oven has been here since construction. I don’t know how old that would be in dog appliance years, but I use my oven a LOT and am not interested in a new one right now. I would have been embarrassed humiliated to post a before picture after all the holiday baking, but I did take this shot after a shoddy minimal effort at cleaning using this recommended method. Why did we ever waste money on harm our environment subject our bodies to all those toxic chemicals of spray-on oven cleaners when we could just do this? Spray vinegar over it, and let it fizz. Put in a load of laundry unload the dishwasher check Pinterest for 15-30 minutes, depending upon filth degree of burned on debris. Wipe up with the towel. Difficult areas may require a light scrub with a scratch pad, but seriously, this is amazing! For the sides, I sprinkled threw some baking soda on, and sprayed some vinegar. Next time, I will mix up a baking soda/water paste and then spray on the vinegar. Chalk up another win for vinegar!